Accuracy in Real Tarot Reading can depend upon several variables. Good consultations can be insightful and exciting. Your future is not static and upcoming events are not immutable. What your Tarot reader can reveal for you is always subject to change caused by the free will of all connected. If your reader spots potholes down the road, he/she can gently guide you around them and you can claim your power to change the course of the future. According to history Gypsies in Europe first developed the divinatory side of the Tarot. A deck of Gypsy Tarot cards can still be used as simple fortune-telling tool. It can also be a vehicle that reveals essential insights about your life journey. It can bring possible outcomes for present and future situations into the light. It can be used as a tool that helps us to make empowered choices. 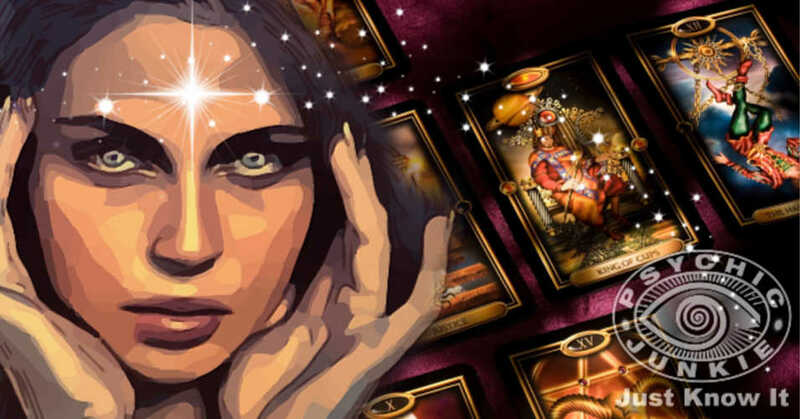 Readers will scope out a Tarot Spread, paying particular attention to any hidden information the cards reveal, which may prohibit you from attaining your goals. By working together, you can achieve the necessary clarity to make positive changes. Very often the clients will go to for a Tarot reading with the misconception that all readers are psychic. Not all Tarot readers are psychic and not all psychics read the Tarot. Intuition can play a vital role in accurate readings. For instance, a Tarot reader with highly developed intuition connects with source energy finding deeper meaning as he/she reads the cards. Another reader might misinterpret the cards, their relationship to each other in the layout, reversed cards and so on. So, in essence, the cards are correct, but the second reader failed to explore nuances intuitive Tarot readers would easily discern. You also play a role in the accuracy of your Tarot reading. Don’t schedule a session when you are in a negative frame of mind or battling illness. Also, don’t try to cram a consultation in on your lunch break. Pick a time when you won’t be rushed, otherwise you’ll be concerned about getting out of there. You won’t put your heart and mind into it. Make a list of comprehensive questions beforehand. If you have a ‘burning issue’, relay it first. This gives your reader a focal point. You’ll get an enlightening and accurate reading. You will leave with greater satisfaction and a warm fuzzy feeling you got your money’s worth. 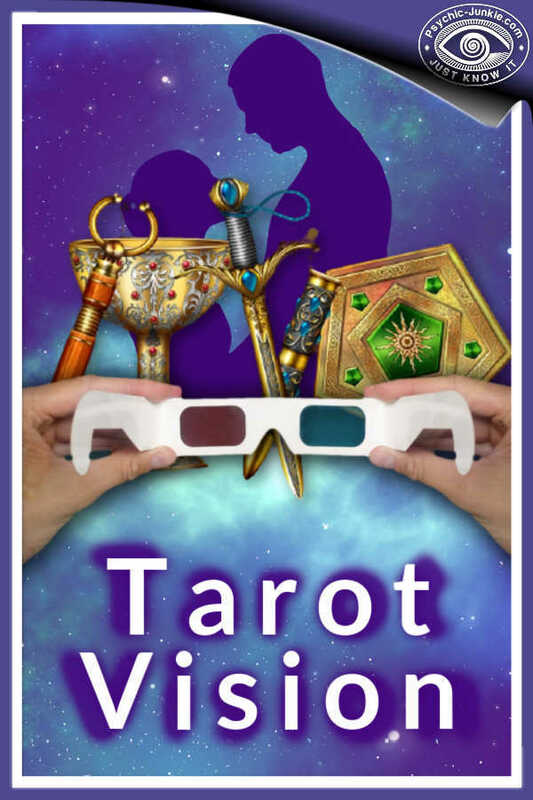 In a Real Tarot Reading with a psychic, the imagery on the cards can support the guidance by validating your reader's insight and frequently highlighting hidden issues. Why do psychics like to use tarot cards when they obviously don’t need them? The simple answer is that somewhere between 'Once upon a time' and 'They lived happily after' is the story of the soul’s journey on earth. Tarot cards act as psychic helpers by keeping the story on track. Of course, the journey to happily ever after, can’t be attained in a 30-minute session. Think of a real tarot reading as providing little vignettes that focus on one or two current challenges and how to resolve them. Let’s suppose your concerns are all about getting your ex back. What if strong sensations concerning a large inheritance keep interrupting your psychic’s concentration? Here is where Tarot comes into play. What if the next card is the 9 of Pentacles, which signifies ‘big inheritance’? What if the real reason you want your ex back is strictly financial? Now, the upcoming inheritance becomes quite significant. Suddenly, the prospect of getting him back doesn’t seem as attractive. You might decide to keep things status quo. Let us be perfectly clear – psychics do not need help from metaphysical tools, such as Tarot cards, runes, crystal balls, etc. Some psychics like to combine Tarot with a psychic reading in order to give the people what they want. Despite our enlightened society, most people aren’t well educated in the divinatory arts. Many people still like to see psychics as a bit woo-woo, with their incense, crystals, cards and candles. In essence, they can’t fathom a psychic pulling insights and direction out of thin air. They want dramatic effects! Shuffling the cards and making a big production of laying them out actually provides a comfort level to quasi-skeptics. So, why not? Before they read for the public, many psychics work with Tarot cards as part of developing their natural talents. But, there is a huge difference in interpreting the cards through intuition and referencing meanings from a book. Psychics in-training are taught to rely on their intuitive abilities to screen-out generalized meanings of the cards in favor of detailed personal information. 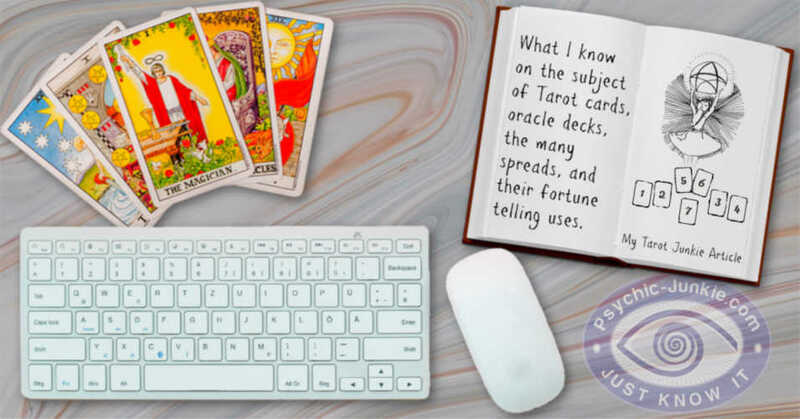 Be mindful that the actual Tarot cards do not have mystical powers, rather they assist the psychic elicit the best guidance from tarot reading spreads.